As Owner/Operator, I emphasize a very personal yet professional approach to each event I undertake. Providing a friendly, diversified performance for your celebration or special event combined with enthusiasm, experience, and flexibility to get it right the first time. Our commitment to our clients and dedication without compromise is the key ingredient to our success. The Blue Ridge Road Show has proudly served a small portion of the midwest since 1998 and with over 400 wedding receptions performed, we have never missed or cancelled a performance. As trained professionals, we optomize your entertainment needs by means of our Direct Client Communication including Master of Ceremony, music programming, and pre-event planning. 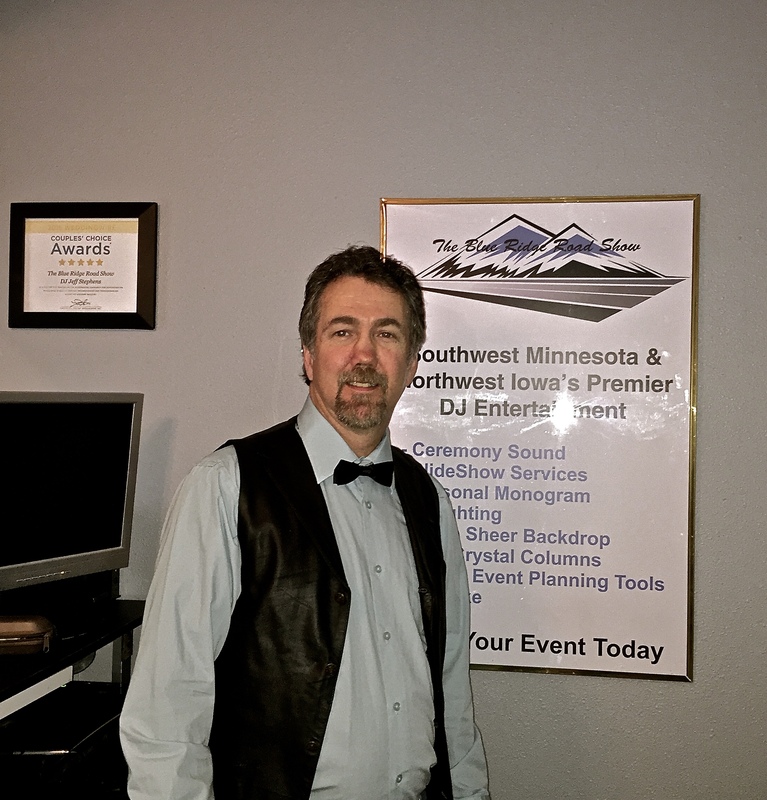 With over 30 years in the entertainment industry and 15 years as a main event celebration DJ, we recognize that each event is unique and requires a high level of attention to minor details.